With the warm weather upon us, there’s no reason that your backyard can’t be the best room in the house. 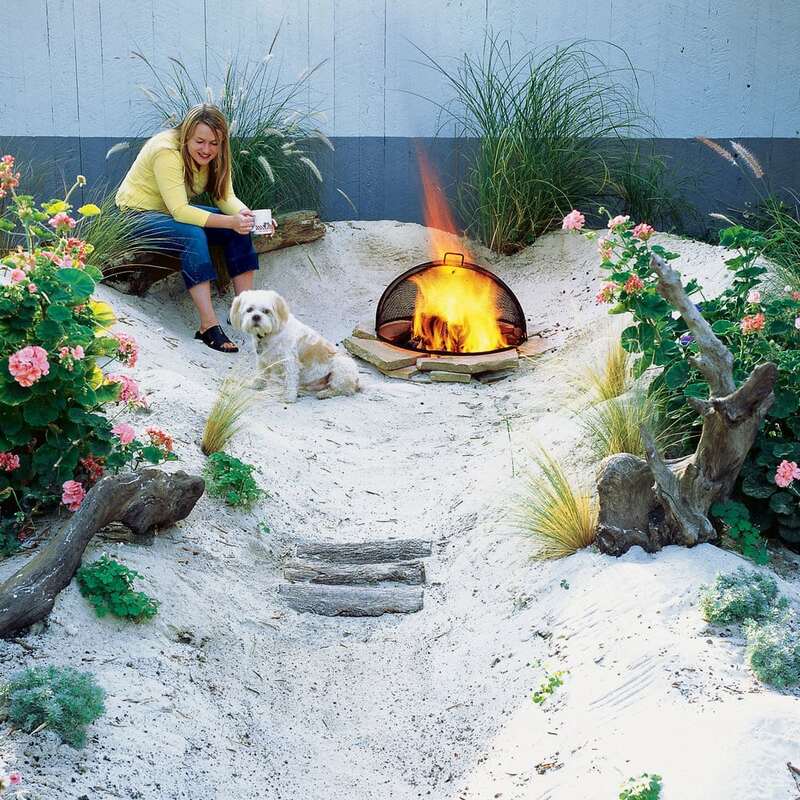 But you don’t have to spend a ton of money turning your outdoor spaces into cozy, enchanted, fun zones. 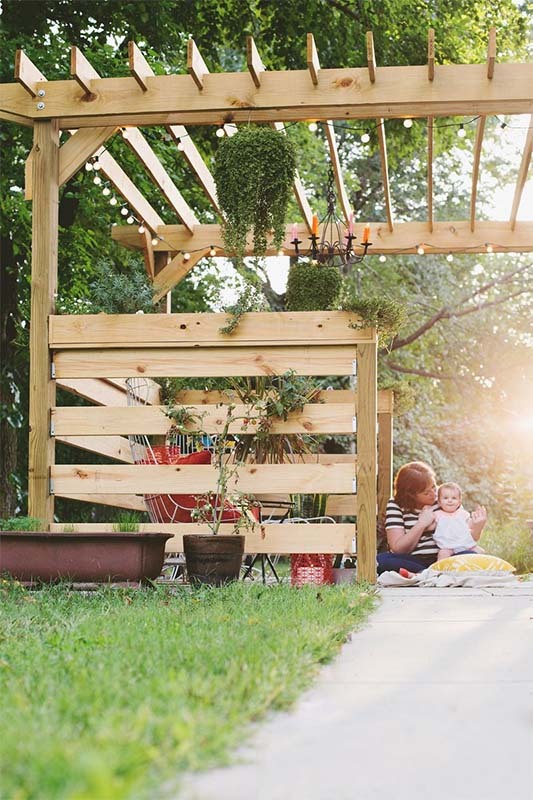 There are lots of DIY projects that can transform your backyard into THE place to be in your neighborhood. 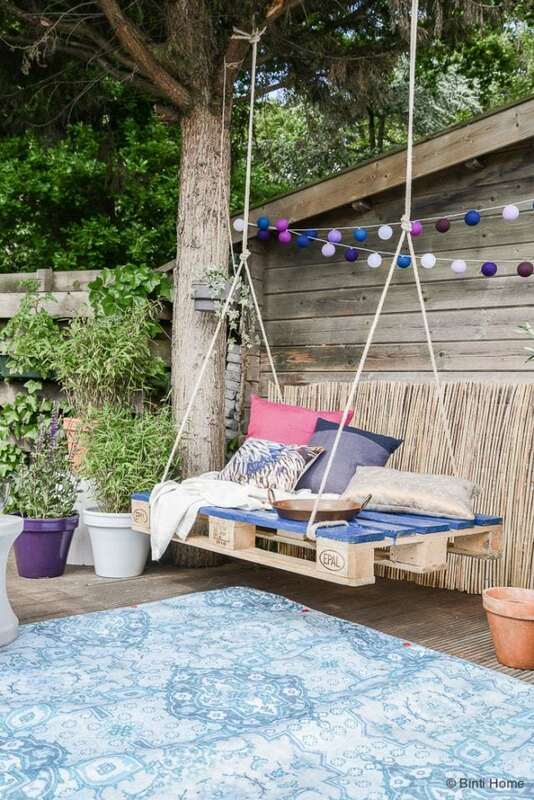 If you’re going to have a magical backyard, you’re going to have to have a swing. 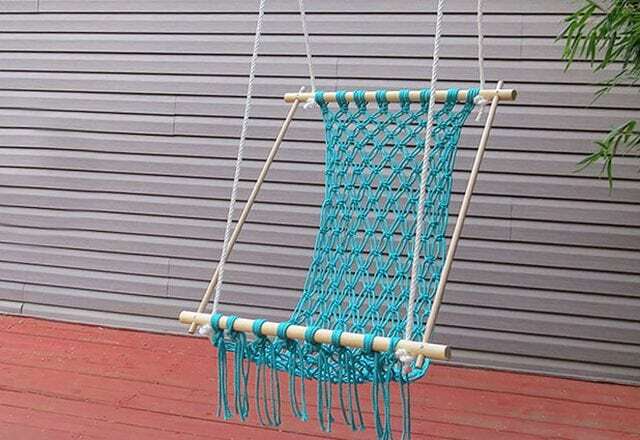 You can make a swing from a tire, a pallet, or an old bedframe. Get some ideas here. 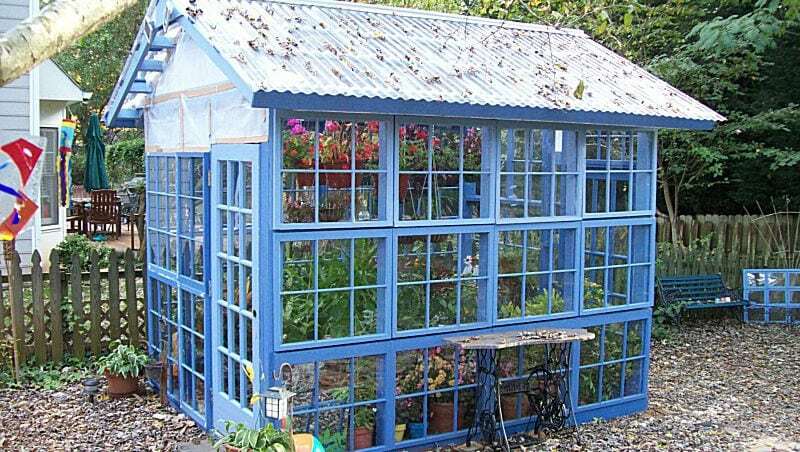 You can grow all sorts of beautiful plants and herbs in a DIY greenhouse. 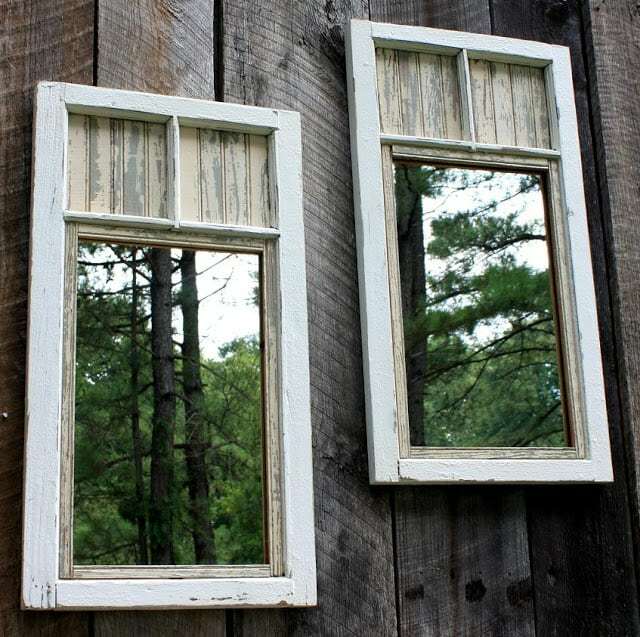 You can make one from old windows or other reclaimed materials. You’ll find different tutorials here. Sitting under a tree and receiving its beautiful shade is a gift. 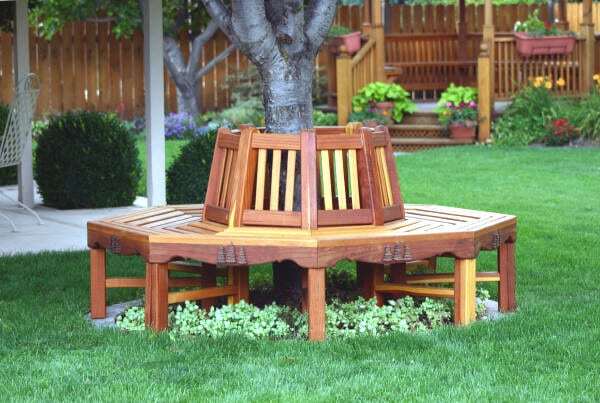 One that you can recieve over and over again if you create a tree bench. Learn how to build one here. Incorporating unique looking planters is a great way to create reverie in your backyard. You can take common objects like a tire. 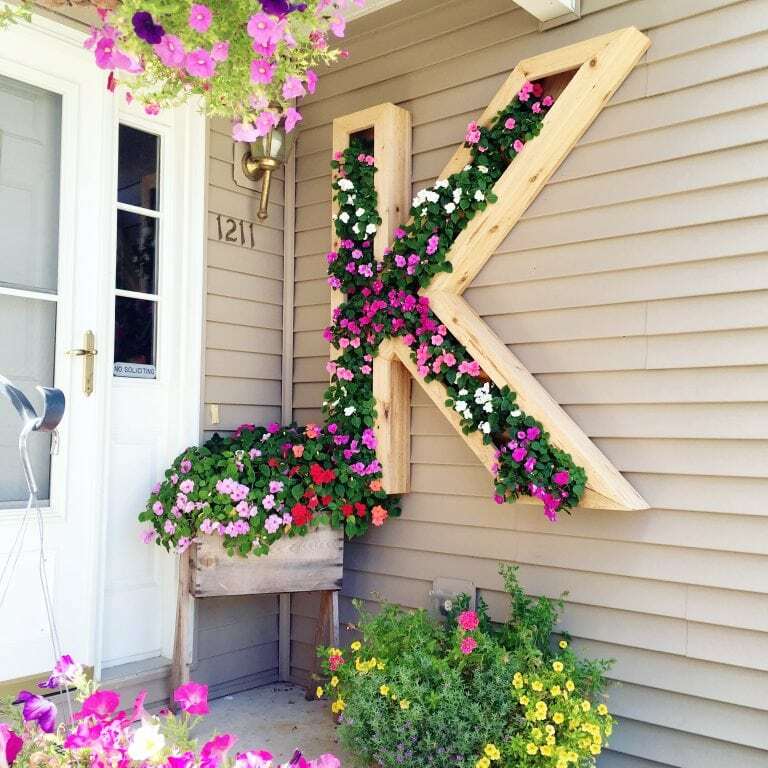 Just paint one, drill some holes in it for drainage, and add some flowers to it. Get the details on this project here. 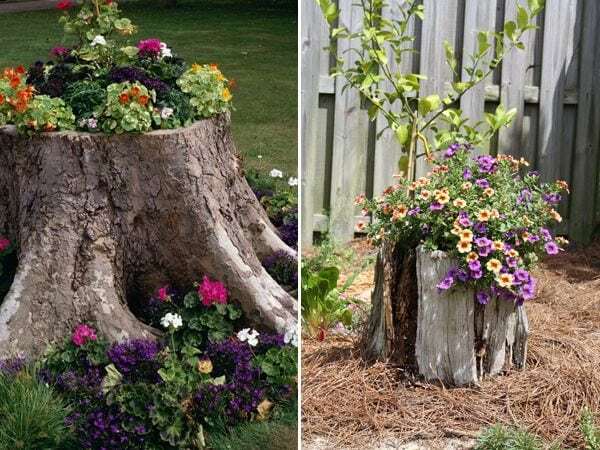 Don’t let your tree stumps sit around and look ugly. Spruce them up. You can paint them or you can scoop out the insides and add flowers to it. 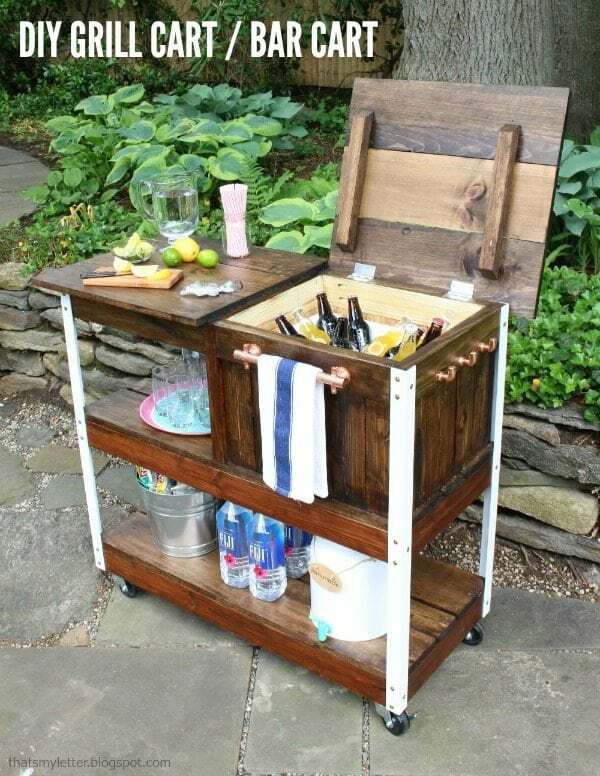 Having an outdoor grill/bar cart can make entertaining a lot easier. 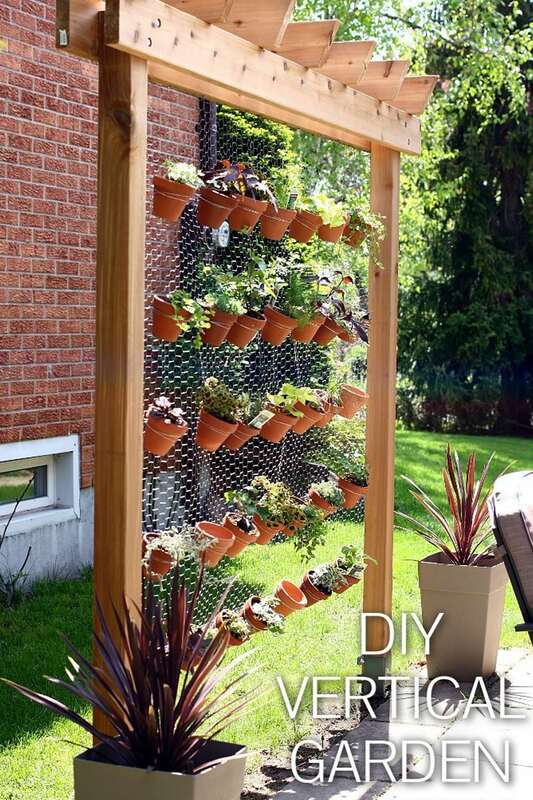 There are a lot of different designs but this one can be made after a trip to Home Depot. Get the instructions on how to make it here. This chicken wire herb garden is a great way to create division in your garden. It also creates a wonderful focal display. Learn how to make one here. 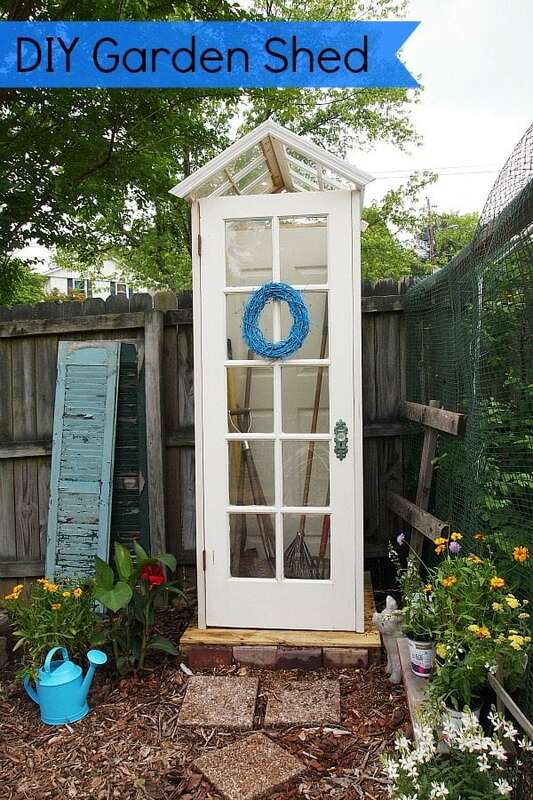 Sheds don’t have to look ugly and industrial. You can create really pretty looking ones from old doors or window panes. Learn how to make one here. 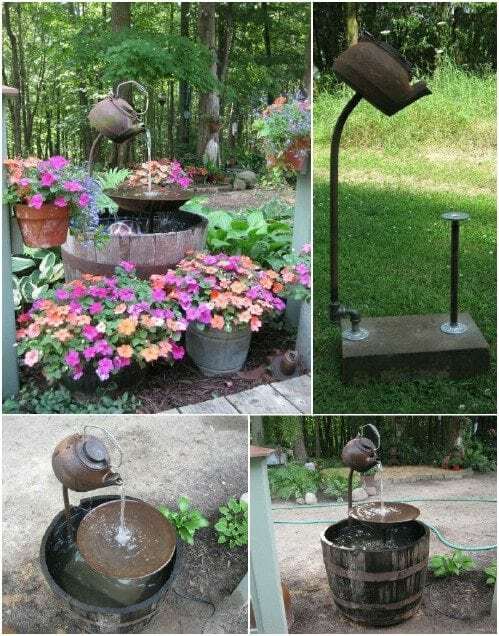 There are lots of different designs for potting stations. 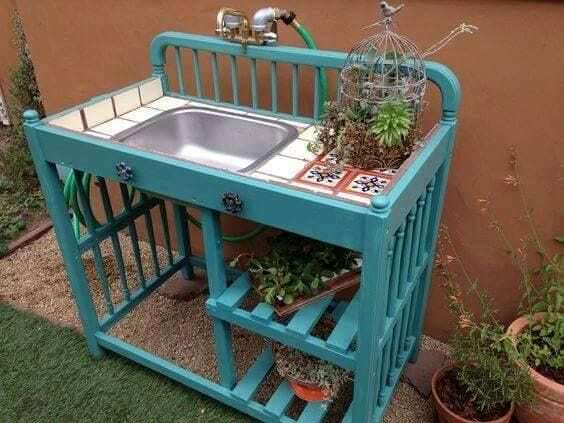 You can make a really cute one from a repurposed changing table. You can find different ideas here. 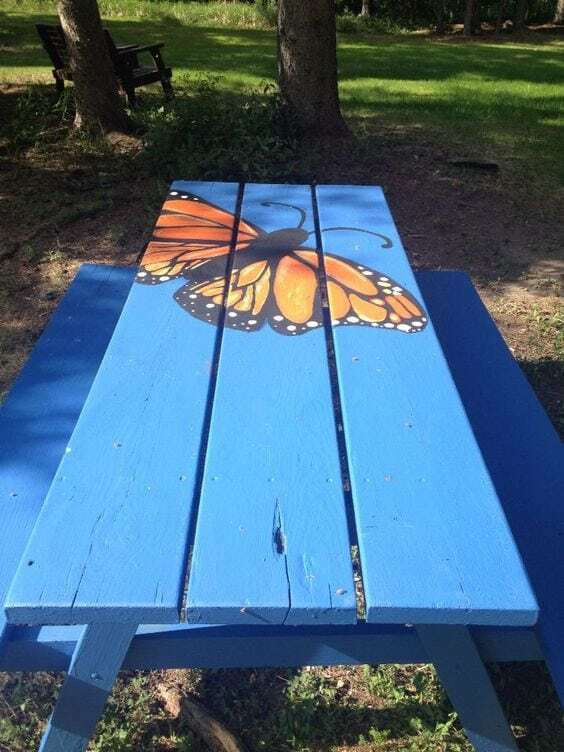 Why have a boring picnic table when you can have a really cool looking one. All it takes is a coat of paint and some creativity. You can find lots of fun ideas here. Water features are so much fun. And this one looks like a magical floating teapot. You can learn how to make on here. 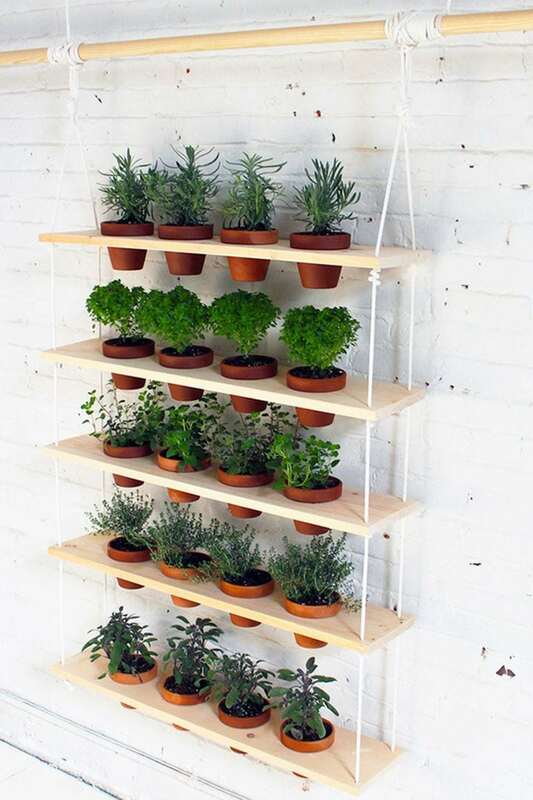 This hanging plant makes for a beautiful display. It’s also fairly easy to create. Get the tutorial here. Storebought hammocks are nice, but having a crocheted one really makes a beautiful statement. 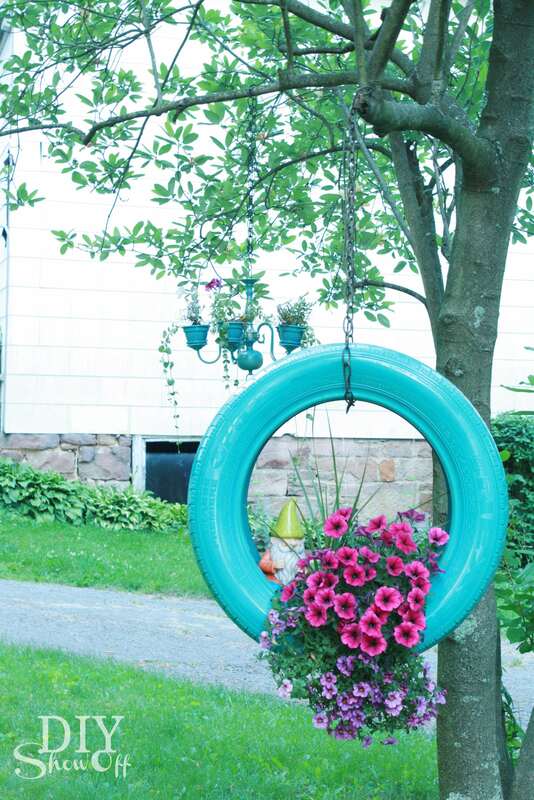 You can make it any color you like to enliven your backyard. Learn how to make one here. Lanterns will bring some light to your backyard without having to plug anything in. Colorful paper lanterns will brighten up the whole backyard. It will create a fairytale-like atmosphere. You have to have some craftsmanship for this project. But it’s way less expensive to build one yourself. 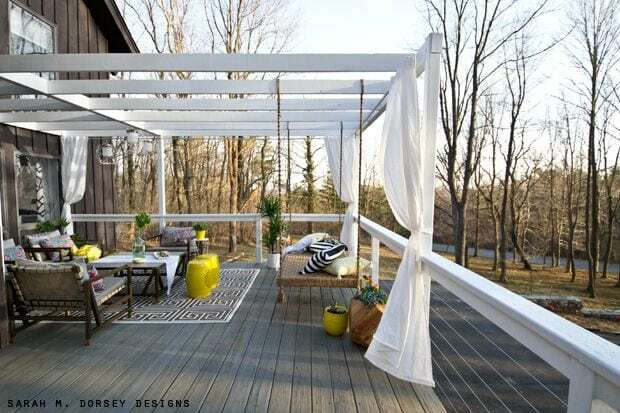 Get some plans for different pergola designs here. This project really is a beauty. You wouldn’t be able to find something personalized like this in a store and it’s fairly easy to build. Learn how to make one here. You can create a whole new world in your own backyard. Just turn it into a beach. Learn how here. Need to rinse all that sand off? 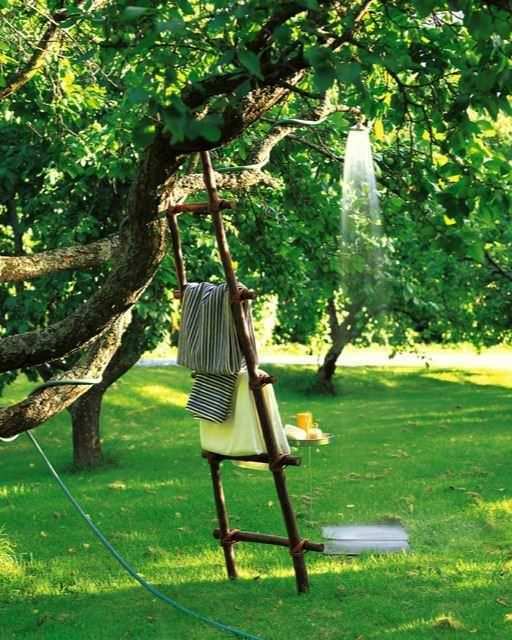 Create a simple outdoor shower. Learn this simple design here. These garden mirrors make it look like you’re looking into a new dimension. It also makes your outdoor spaces look a lot larger. Learn how this project was done here. You can make your own wind chime with just about anything. This crystal one is gorgeous. But you can make them from old broken jewelry, seashells, and just about anything else you can think of. 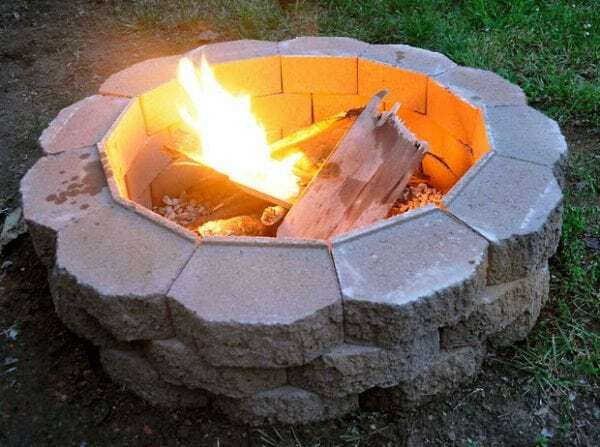 DIY fire pits can be super simple to make or intricate. It depends on what kind you’d like to build. You can find different designs and plans here. Backyards should be fun. 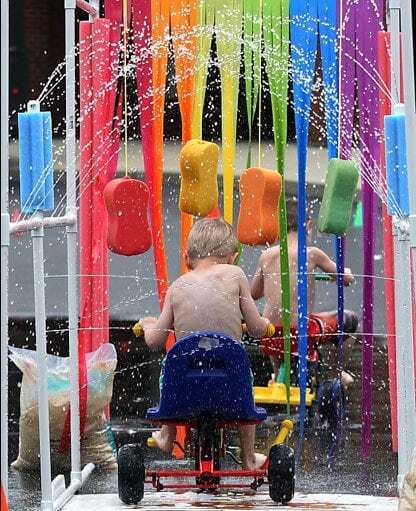 And what’s more fun than a kiddie car wash sprinkler? Learn how to make one here. 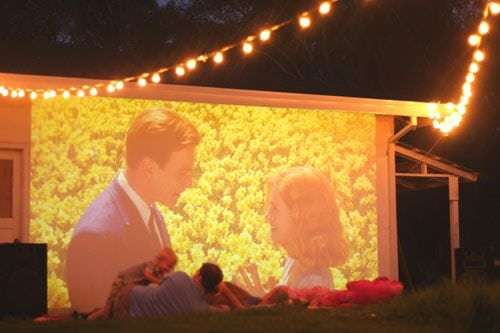 Creating a home theater doesn’t have to be expensive if you’re making one in your backyard. There are lots of different ways to go about this. Get the details here. 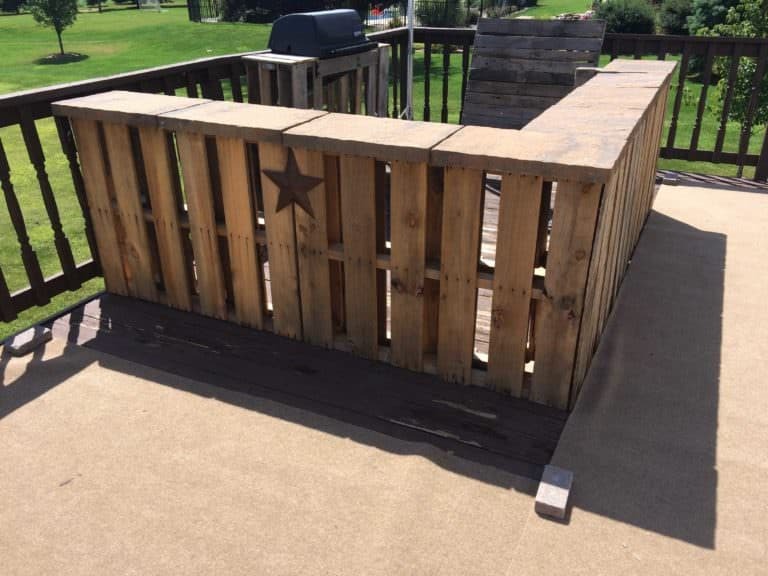 Your house will be the most fun on the block if you have a bar. Problem is, people might never want to leave! You can get DIY designs and instructions here. Bulky wooden fences can cheapen the look of your porch. You can easily create a safe wire fence that will give your outdoor space a more modern look. Learn how to build one here. Making a full tree house can be a lot of work. You can meet the kids halfway with a fun tree post. Learn how to make one here. Never get up to get a drink again. 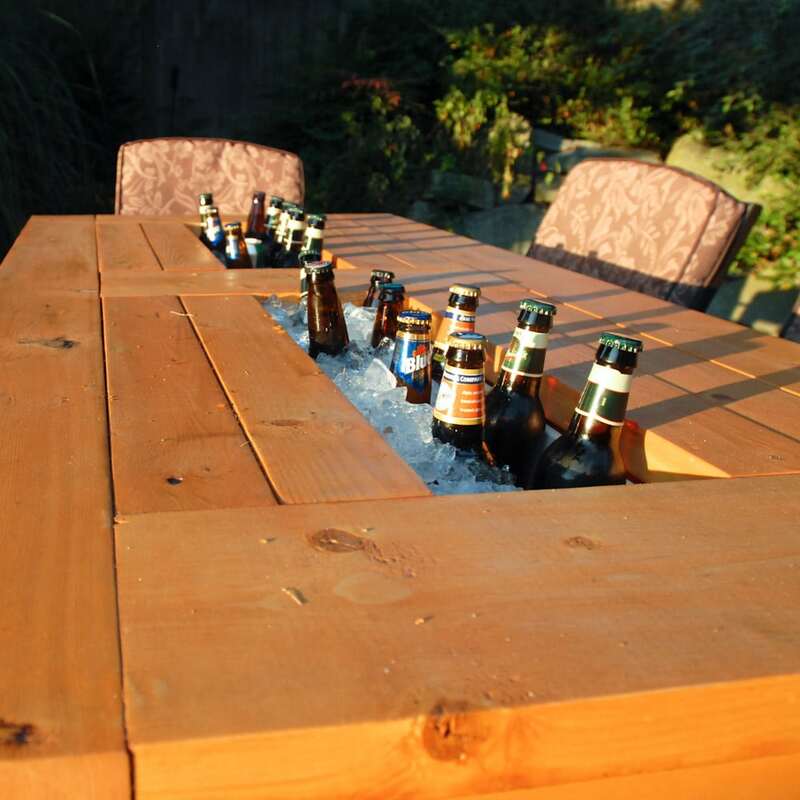 Just make yourself a table with a built in beer/wine cooler. Get the instructions here. Make your fence fun. You can do so by drilling holes into it and shoving marbles in the holes. The sun will shine through them and look super pretty. 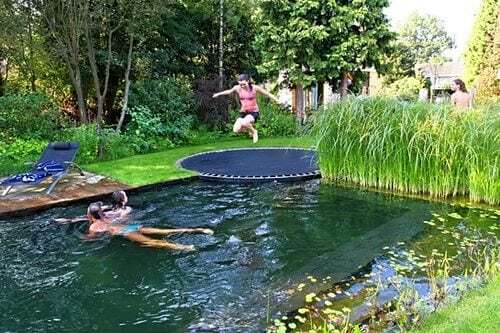 No need to go out and buy a diving board to have it installed. Get a used trampoline instead. It works just as well! The best naps are outside naps. You can nap outside with an outdoor porch bed. 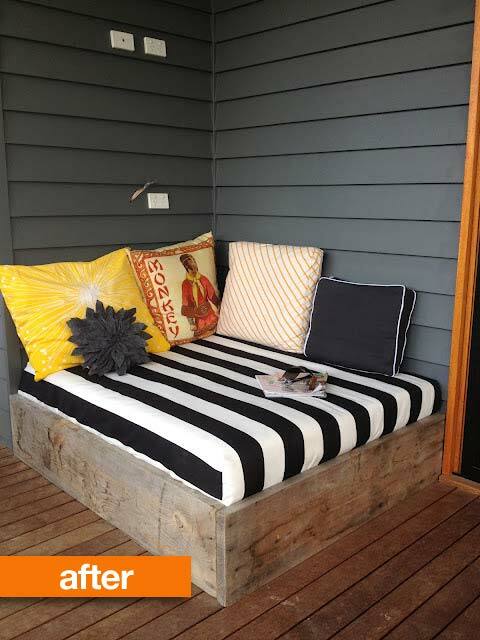 You can find simple day bed ideas here. Playhouses don’t have to look ugly and cartoony. 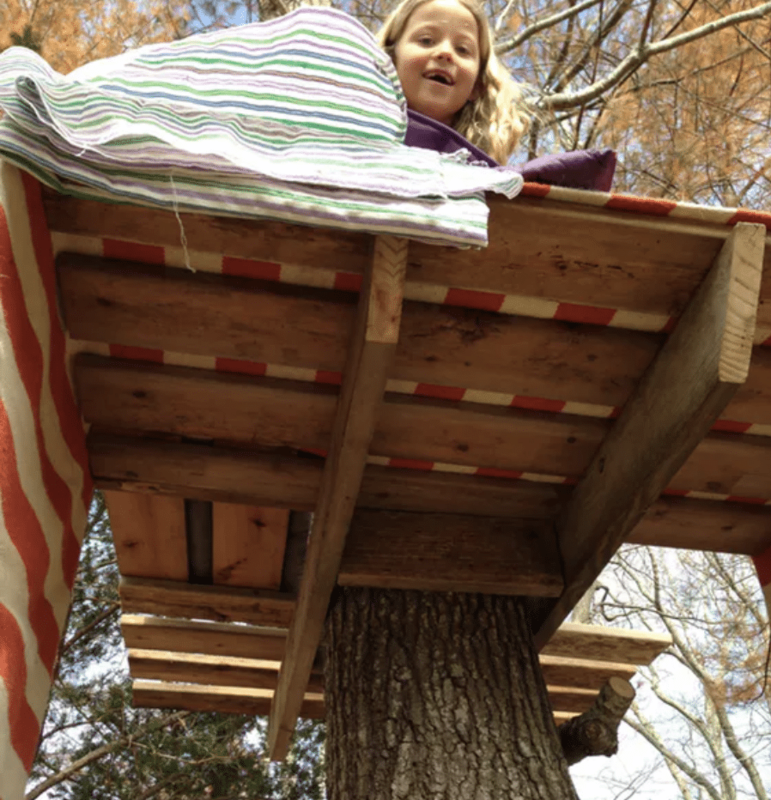 You can make an outdoor playhouse for kids that you’ll want to hang out in too. Get the details on this one here. Nothing is more magical than lounging. 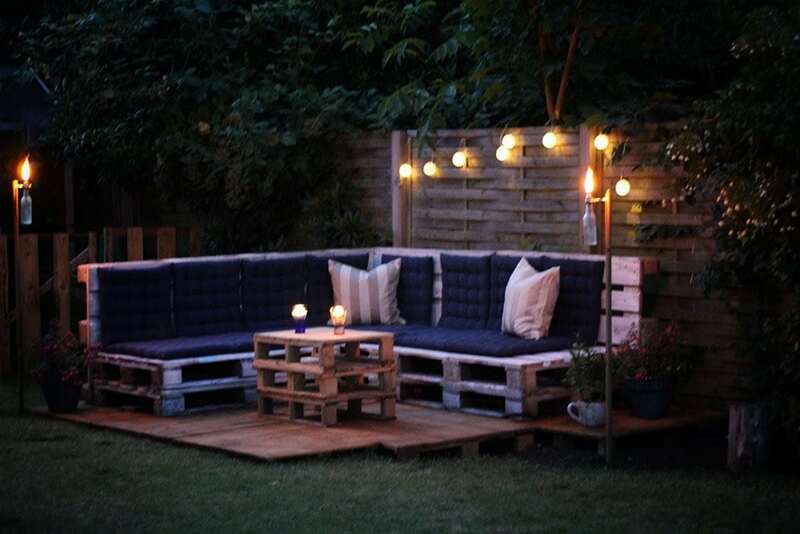 You can create inexpensive lounge furniture with pallets and or cinder blocks. You’ll find tons of ideas and tutorials with a few internet searches. Learn how to make the one below here. 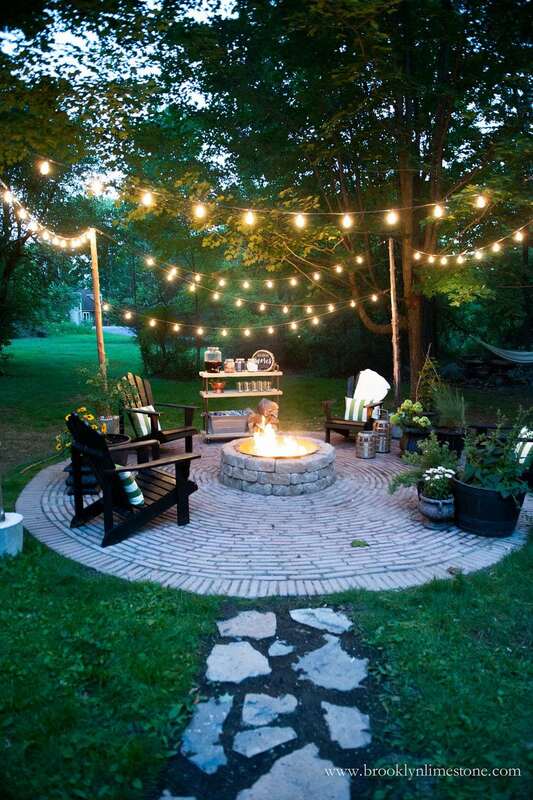 String lights are an inexpensive way to illuminate your backyard. 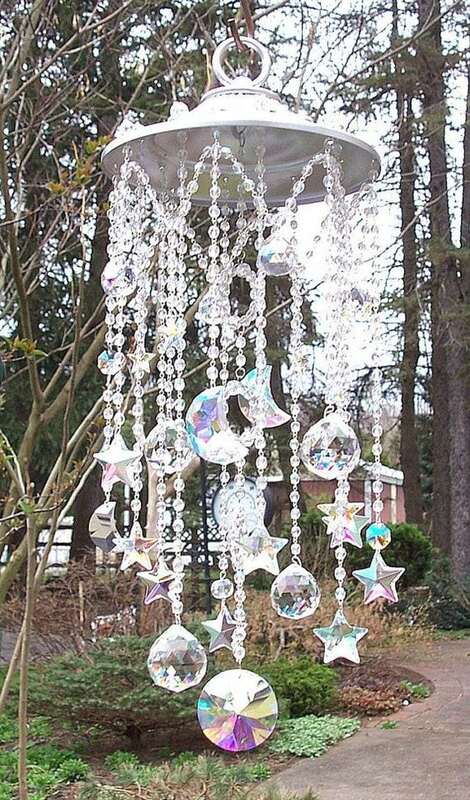 They give your backyard a fantasy-like feel. 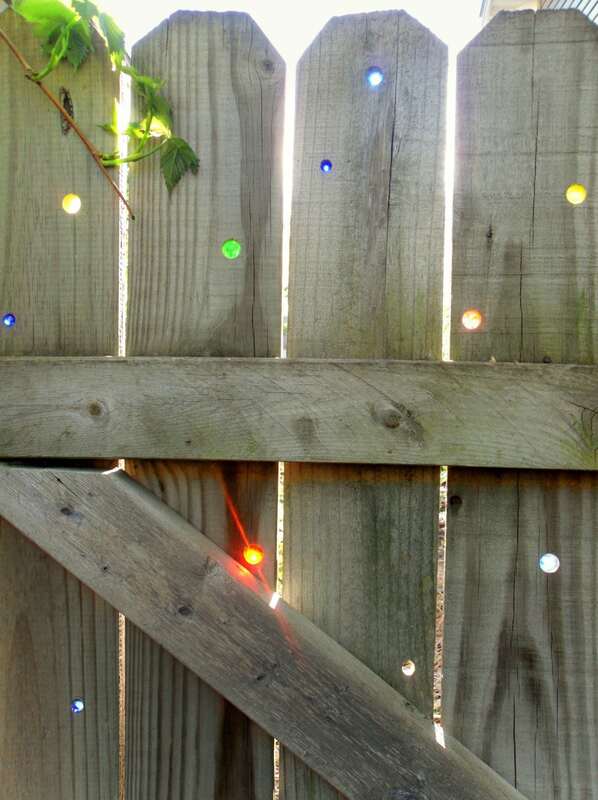 You can find lots of great ways to use string lights in your backyard here. 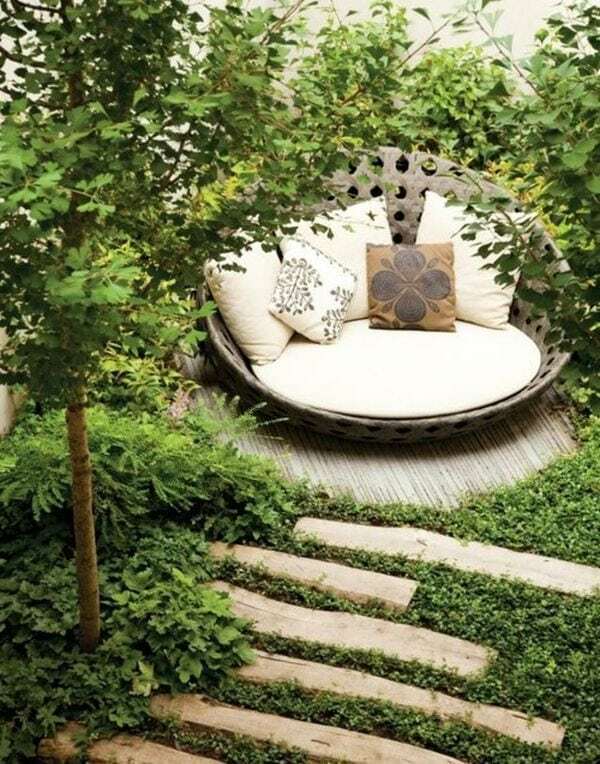 Have a secret little place in your backyard will make it feel special. Use steps and shrubbery to create your secret spot. Make sure you leave some cushion to get cozy. Allium flowers are fun and make you feel like you’re in a Dr. Seuss book. Their stems can grow 3 to 4 feet tall. You can learn all about these funky flowers here. Why can’t you have a chandelier outdoors? 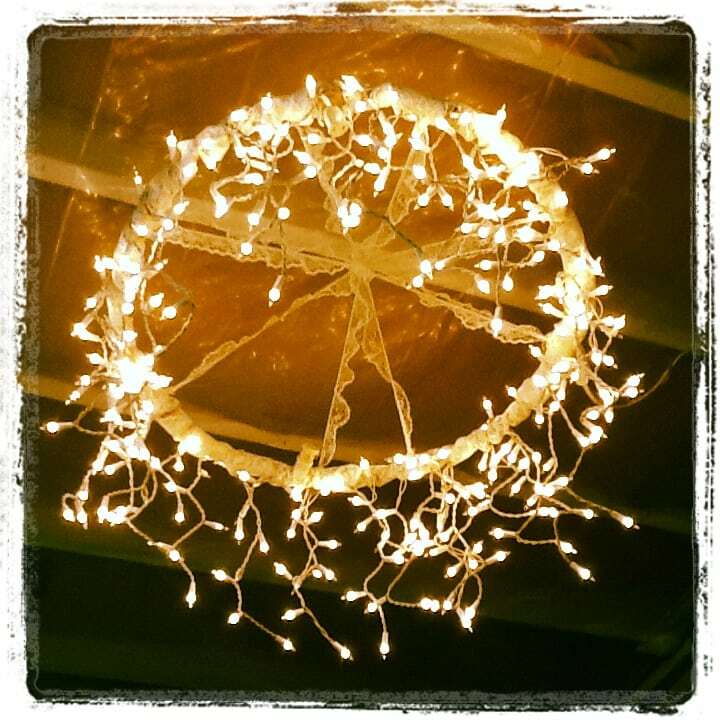 You can make a simple one from a hula hoop and some string lights. You can also hang some crystals from it. 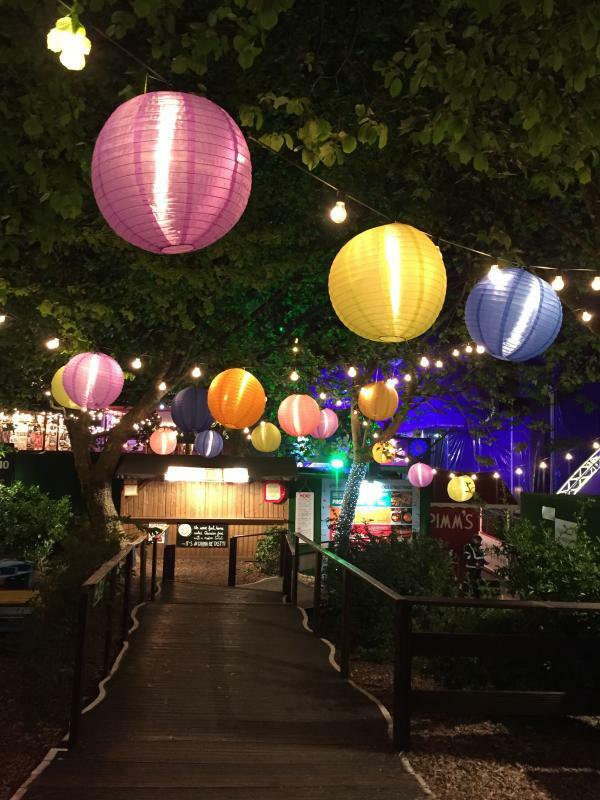 Glowing orbs create an instantaneous magical feel. Their illumination gives off a soft glow that your guests will become curious about. You can find really cheap solar powered ones online.